The Zapier connector allows you to connect to over 300 popular Cloud data services. 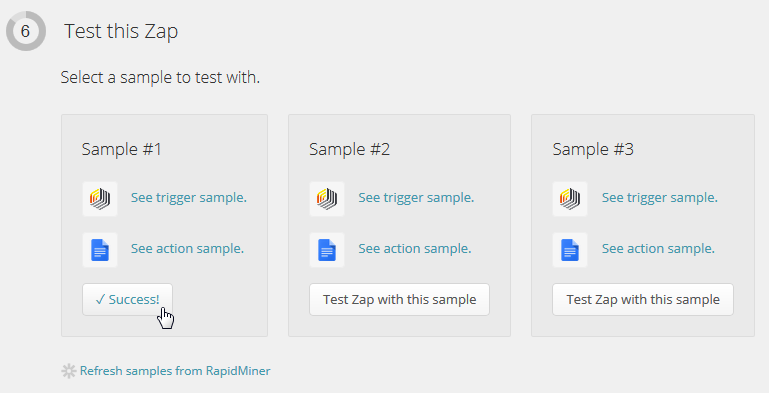 Zapier itself works by defining triggers and actions and combining them into so-called Zaps. 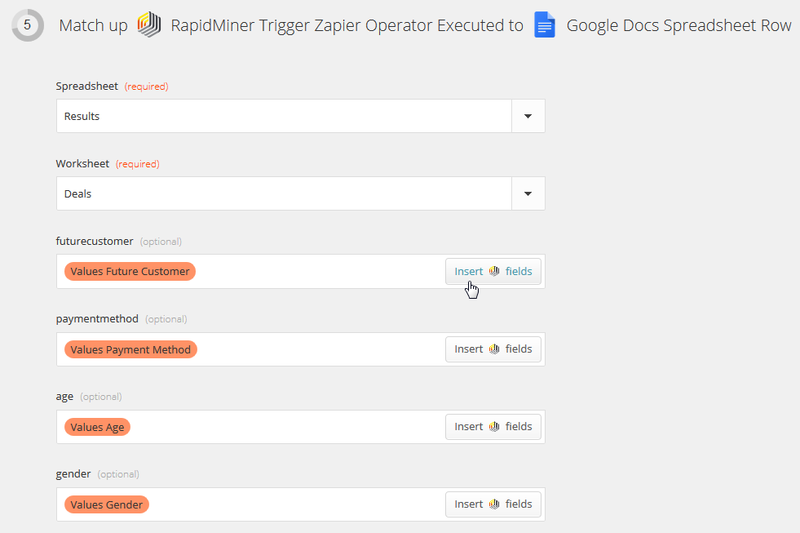 The Trigger Zapier operator can be used to trigger your Zaps. Open a new process in RapidMiner Studio and drag an example set (e.g., Deals data) into the Process view. Note that the Trigger Zapier operator always needs an operator that provides a data set. Your Zap will be triggered once for each example in this set. Drag the Trigger Zapier operator into the Process view and click on the operator. In the Parameters view, click on the Zapier icon to go to the Zapier website. 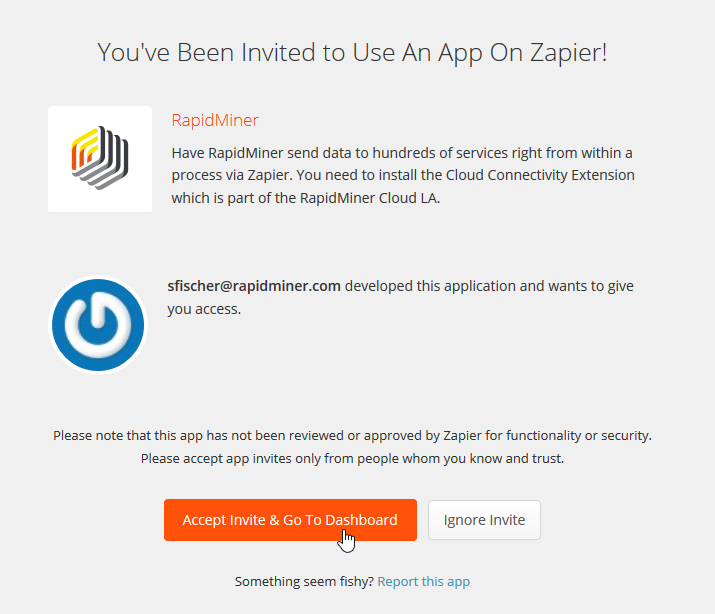 Accept the invite to use the RapidMiner App on Zapier. If you are not already logged into your Zapier account, do so and accept the invite again. 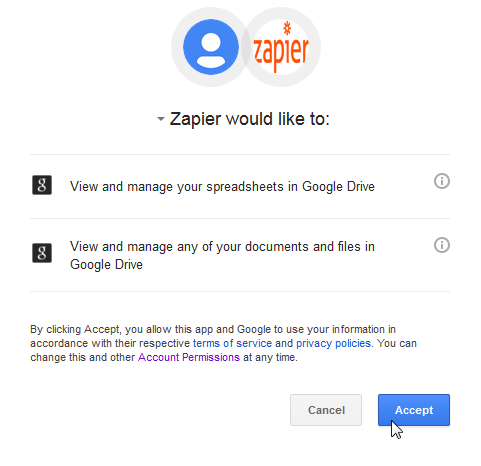 Zapier will request you provide a user account for the Action App you selected. Switch back to RapidMiner Studio, select test hook, and run the process. This lets Zapier know which attributes to expect. 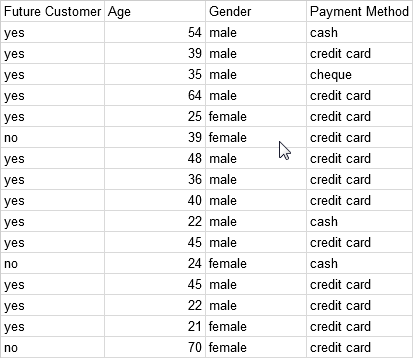 The following steps will show you how to configure and filter the generated attributes in Zapier. In this test mode only test messages will be sent to Zapier and will not trigger your Zap. You can add filters such that your Zap will only be triggered under certain conditions. If the attributes of your example set are not shown in the drop down menus you might have to refresh the website. For our Google Docs - Create Spreadsheet Row example, you can see that a new row is added for each test.